Colorful rogue Matthew Williamson finally has a concrete location and opening date for his second-ever store, next to Alexander McQueen at 413 West 14th Street in the Meatpacking District. 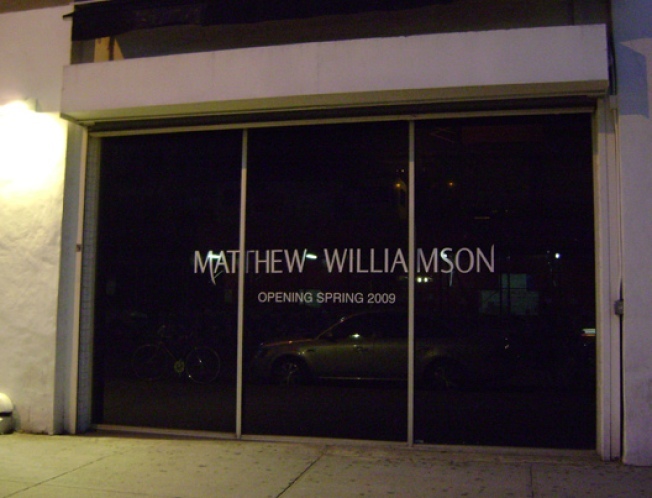 What can we expect from the Spring 2009 opening of his 2,500-square-foot space? His flagship London location boasts a tropical garden, but we imagine he'll follow the MePa minimalist interior trend and let his striking patterns of flattering colors speak for themselves. He just also happens to be the designer for Emilio Pucci, which should give you a pretty good idea of what to expect. We'll be watching construction through winter, but seriously though retailers, stop it with the black vinyl over your windows during construction; whatever happened to good old taped-up paper with ripped holes like a build-out peep show?